A new play has recently opened in Amsterdam eponymously called Anne. 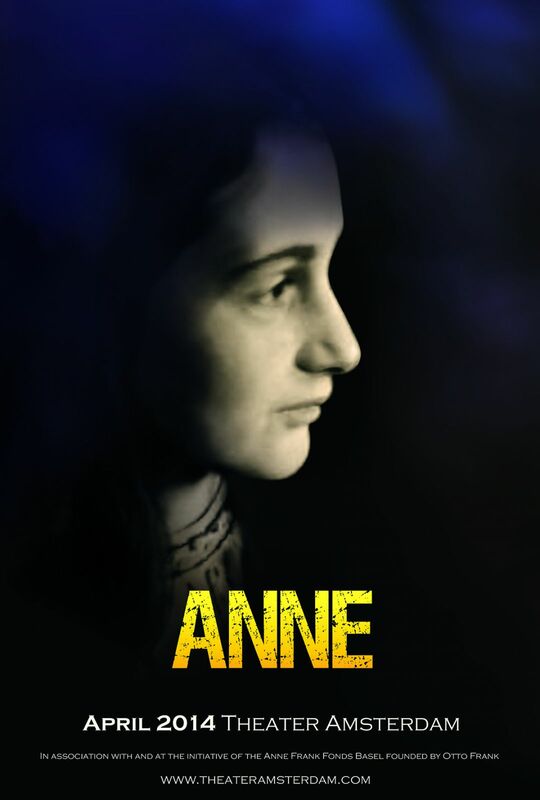 I doubt there is a school child anywhere who has not heard the story of Anne Frank. She is perhaps one of the most well know victims of the Holocaust and the diaries of her wartime experiences in hiding have be translated and read around the world. You can watch the report here too. 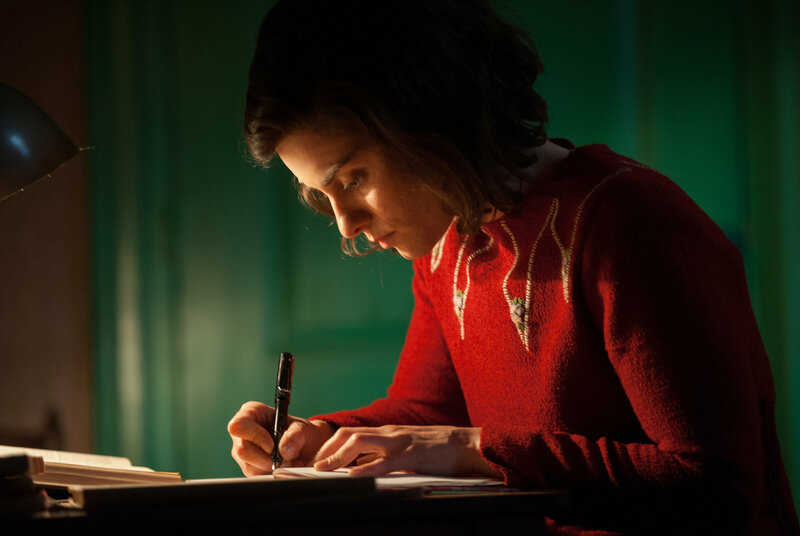 You can read more about the controversy in a report for The New York Times by Doreen Carvajal, Amid Tensions, a New Portrayal of Anne Frank. One of the first reviews in English by David Aaronovitch for The Times is here. By way of post script to my last post about the restaging of Miss Saigon in London, I want to share some of the reviews. Before that, however, a great piece by Mark Lawson in The Guardian that caught my eye. In Miss Saigon, Yellow Face and the colourful evolution of answer plays Lawson talks about the David Henry Hwang’s new play, Yellow Face which opens with a character talking about his role in a campaign against the casting of Jonathan Pryce as the Asian character of The Engineer in Miss Saigon’s original Broadway production. Hwang is probably the most famous Chinese (American) english language playwright of our time and much of his work reflects his heritage. There’s a phenomenon in pop music of the “answer song”, written in direct response to another track: Carole King, for instance, recorded a number called Oh, Neil! after hearing Neil Sedaka’s Oh, Carol! There’s a similar – though sparser – theatrical genre of answer plays and a recent example is currently running at the National Theatre: Yellow Face by the Chinese-American dramatist David Henry Hwang. Hwang’s play begins with a dramatist called DHH describing the events that followed his involvement in a campaign against the casting of Jonathan Pryce as the Asian character of The Engineer in the 1991 Broadway premiere of Miss Saigon. 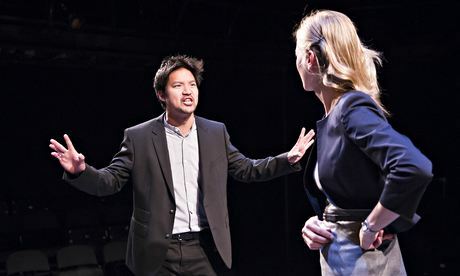 Timed, presumably not coincidentally, to run at the National just before this week’s opening of the first London revival of Boublil and Schönberg’s musical – with an Asian-American actor, Jon Jon Briones, in the Pryce role – Yellow Face is a response to that show. It is also, in a particularly rare example of a playwright answering himself back, a response to the failure of Hwang’s own 1993 show Face Value, a comedy about racial identity, even though, in Yellow Face, the dramatist exaggerates the content and controversy of that work. Face Value and Yellow Face, though, were not Hwang’s first involvements with the retorting form. His first hit, M Butterfly (1986), was a tetchy conversation with Puccini’s opera Madame Butterfly, with Hwang using the enduring musical story of an American sailor’s marriage of convenience to a Japanese woman as a parallel to the fact-based scandal of a French diplomat and his Chinese “girlfriend”, who doubly fooled him by concealing the facts of being both a spy and a man. Curiously, Miss Saigon, which later drove Hwang to his typewriter, was itself inspired by Puccini’s Madame Butterfly, although, for me, the musical belongs to the category of adaptations, rather than answer works. 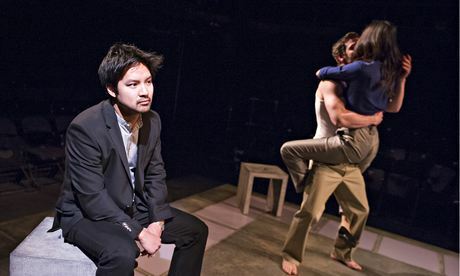 Boublil and Schönberg maintain the basic racial situation of the opera – both the American and Asian central characters are seduced by the dream of the US – while Hwang’s M Butterfly questions cultural stereotypes: challenged on his failure to have spotted the gender of his lover, the French diplomat revealed that he had never really seen “her” body because of typically Asian female modesty. Even so, it is possible, as if in a game of theatrical consequences, to create a chain of five works: Madame Butterfly-M Butterfly-Miss Saigon-Face Value-Yellow Face. Perhaps, as Miss Saigon came some years after M Butterfly, the writers were influenced, even subliminally, by that other reply to Puccini. But, in any case, the above line of descent suggests that race is often a motivation in response projects. Hwang, from his perspective, queried the European view of the east, while Boublil and Schönberg approached the Vietnam war through their nation’s own history in what the French called Indochine. Racial redress was specifically the motivation of Arnold Wesker’s The Merchant (1983), in which Shakespeare’s Shylock – and the anti-semitism inspired by him – were given a counter-balancing characterisation by a Jewish writer. A similar impulse underlies another chain of plays: Lorraine Hansberry’s A Raisin in the Sun (1959), Bruce Norris’s Clyborne Park (2010) and Kwame Kwei-Armah’s Beneatha’s Place (2013). Although the connection was more apparent to American than British theatregoers, Norris’s play has a first act (set in 1959) that picks up Hansberry’s characters and narrative of a black family in Chicago and then a second, set 50 years later, that depicts the change in demographics and American race relations. Kwei-Armah was so inflamed by his fellow writer’s treatment of the subject that he wrote his own play, which also has two halves set a half-century apart, but takes a more optimistic view of social progress. Another string of dramatic inspiration links a British flop and a hit of the late 1950s. As the programme for the recent National Theatre revival of Shelagh Delaney’s 1958 play A Taste of Honey pointed out, the author, at the age of 18, had written her script in angrily rapid response to seeing Variation on a Theme by Terence Rattigan when it was performed in her native Salford. Delaney was irritated by Rattigan’s depiction of gay characters. As it happens, he was gay, while she wasn’t, but he had grown up with cautious attitudes enforced by the legal taboo on male relationships. Rattigan’s play script was, as the title hints, itself an answer play, inspired by the Dumas drama La Dame aux Camélias. As a result, A Taste of Honey is a variation on a variation on a theme. It would be wrong to say that the three plays hold hands – the second and third are scarcely on speaking terms – but the two English language texts both owe their existence to a precursor. Less specifically, two of the other most influential plays of the 50s – Samuel Beckett’s Waiting for Godot (1953) and John Osborne’s Look Back in Anger (1956) – can be regarded as answer plays written in response to the prevailing mood of drama at the time, with Beckett questioning the preference for social realism and Osborne objecting to the narrow class range. In drama – as in pop music – the responses given by these answering works tend to be irritated or argumentative, with Hwang’s M Butterfly, Face Value and now Yellow Face as good examples. The Chinese-American writer was correcting or questioning social attitudes; as, in various ways, were Delaney, Wesker, Norris and Kwei-Armah. There’s also, though, another type of answer play that gives a friendly or generous response to the predecessor text. David Hare’s South Downs (2011) was commissioned by the Terence Rattigan estate as a sympathetic companion piece for Rattigan’s one-act The Browning Version. And, watching Moses Raine’s amusing and moving drama Donkey Heart at the Old Red Lion theatre, it struck me that his depiction of an English Russian-language student billeted with a family in modern Moscow seemed to include several deliberate echoes of or variations on themes or scenes in Chekhov’s The Cherry Orchard: the final scenes of both plays, though different in intent and outcome, feature old Russian men left alone in a family house. Such critical fancies can often be a result of having seen more plays than most playwrights do and the apparent homages in Donkey Heart might equally be explained by the fact that Russians (Raine’s play was inspired by a visit to the country) behave in a Chekhovian way. Raine was present at the performance I saw and when I asked him afterwards, he confirmed that a production of The Cherry Orchard had been one of his key theatre-going experiences and that the allusion in his conclusion was deliberate. Human nature being what it is, though, the most appealing answer plays are those that disagree. As artistic director of the Center Stage theatre in Baltimore, Kwame Kwei-Armah staged A Raisin in the Sun, Clybourne Park and Beneatha’s Place last year as a season of dispute. There are no formal joint ticket deals for Yellow Face and Miss Saigon, but anyone who arranges their own double deal will experience an infrequent but powerful form of theatre. 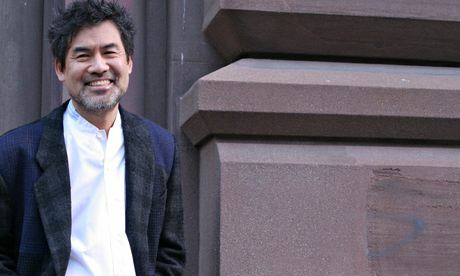 In an accompanying article, David Henry Hwang shares is thoughts on the issue of racial casting – now and then – as well as the role he played in the protests against Pryce’s casting. Racial casting has evolved – and so have my opinions. Described as a probingly political play by one critic, you can read a review of Yellow Face here. Equally as interesting, from the archive of The New York Times, the 1990 article about the furore surrounding Pryce’s role as The Engineer, which includes Hwang’s original Complaint, Actors’ Equity Attacks Casting of ‘Miss Saigon’. Seeing the show for the first time in a quarter of a century, I was more struck by its satirical edge than its emotional power. It’s not just that Chris condemns the Vietnam war as “a senseless fight”. Connor’s production implies that, although the story is about a cultural collision, the opposing forces of communism and capitalism carry strange visual echoes. Ho Chi Minh City, as Saigon became, is embodied by a towering golden statue before which Viet Cong troops parade with well-drilled fervour. America, meanwhile, is symbolised by a Statue of Liberty replica before which chorines dance with military precision. The show is not morally equating the two systems; it is simply suggesting that they feed off each other. The show’s political point about the casualties of a disastrous war comes across clearly. The show’s satirical quality is best embodied by the character of the Engineer: a pimping Pandarus, bred of a Vietnamese woman and a French soldier, he is caught between two worlds and dreams of escape to America. He was excellently played by Jonathan Pryce in the original, but here Jon Jon Briones makes him an even grubbier, sleazier figure who is the victim of both his background and pathetic fantasies that see him in the penultimate number, The American Dream, pleasuring himself on the bonnet of a Cadillac. It comes as no surprise really that the other critics have so fair failed to make comment on the context of the narrative, simply bemoaning, like an aged aunt, that the original production was better – Mark Shenton in The Stage and Charles Spenser in The Telegraph to name but two. A revival of the musical Miss Saigon is shortly to come out of preview in London and there are already rumours of it then heading to North America (and no doubt then further afield). Once called one of the four great stage musicals of the 20th Century (one of the others being Les Miserables) it is estimated that 34 million people have been to see it across 29 countries, for which it has been translated into 15 different languages. Originally opening in 1989, I saw it here in Hong Kong in 2001 and I have to say I thought it was great, as far as a musical can be for me. I had been living in Asia for 5 years at that point and was beginning to understand the history and the culture of a region in a way you only can if you live there. I was a child as the Vietnam war came to a close in 1975 so hadn’t really engaged with atrocities of that particular conflict. History, in my education, was very much a British one, stretching as far as Europe to cover the likes of the Thirty Years War and The Reformation – nothing as even contemporary as World War II. Of course I knew the basic facts about what happened in Vietnam and the terrible consequences that were inflicted on a people in the name political ideology. By the time I saw the production in Hong Kong I had visited Vietnam, and as you do, had devoured as much information as you can to try to understand a new country – it’s history, society, culture and so on. I’d also seen and been affected by the iconic films about the war – The Deer Hunter and Apocalypse Now. Consequently, watching Miss Saigon I remember struggling somewhat with my conscience . The music did it’s job and you were sucked kicking and screaming into the simple narrative and the over-played emotional lives of the characters. Yet with well in excess of 1,000,000 Vietnamese having lost their lives quite so horrifically, was it right to sentimentalise the war and it’s legacy in such a way? No matter what we think of communism, we cannot deny that the Vietnamese fought a war to get rid of foreigners in their own land. Miss Saigon makes it appear that the Vietnamese fought the Americans simply because of Ho Chi Minh’s ego, symbolized by a gigantic statue hoisted up by mindless communist soldiers. We might as well say that the Americans fought the British because Thomas Jefferson and George Washington wanted memorials built in their honor, or that Filipinos fought both the Spaniards and the Americans because we wanted to have a Rizal Park. Cruz wasn’t alone in these views. Other criticisms included the casting of a caucasian actor, Jonathan Pryce, as The Engineer, a Vietnamese brothel owner and central character in the musical – although to be fair this was subsequently righted in future castings. It is interesting that in the ‘trailer’ for the new production, Cameron Mackintosh goes to great lengths to point out the international casting of the new production. these questions just that, sensibilities. Generally musical theatre , contemporary or otherwise, is never going to be able to have the subtleties of a straight play, particularly in-depth of character and narrative. If they take as context something as difficult and potentially divisive as the Vietnam War there are bound to be critical voices of descent. I suppose what I am asking myself is that as the events become part of history, is it permissible to ignore the superficial nature of their treatment and just enjoy the musical for what it is – a great entertaining night out at the theatre. I am completely aware that you could name quite a few musicals where the context is a historical event in which many people lost their lives, Les Miserables being a great example. Perhaps musical theatre represents a facet of human nature – the want to look at something from the past, of which as a race we should be rightly shameful, and find the good, the happy, morally acceptable ending. A way of absolving ourselves, maybe? Redemption? I don’t know. It will be interesting to see if the reviews of the new production of Miss Saigon raise the same objections, or whether the events it portrays are now far enough in the past to allow it to be a story well told, a night at the theatre and just that. To close, the excellent, in-depth and thoughtful article by Serena Davies, written for The Telegraph, about the new production, which I Tweeted last week. 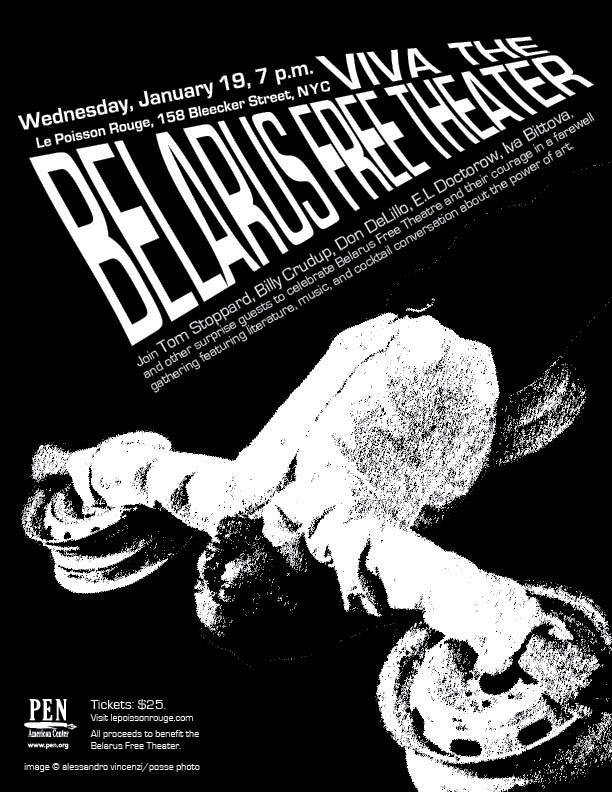 One of the theatre companies for which I have immense admiration is Belarus Free Theatre and I have often written about them, their situation and their founders on Theatre Room – search above right for previous posts. It’s not just about their craft, which is outstanding, but equally about what they stand for. 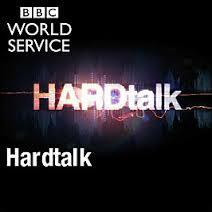 Yesterday, on the BBC World Service strand HARDtalk Natalia Kaliada, co-founder of Belarus Free Theatre gave a powerful interview about the political situation in Belarus. She talks about why directors, actors and even audiences are arrested and imprisoned in the face of a dictatorship in a country where political dissent gets you beaten up, begging the question is drama an effective tool of resistance? The podcast is below. 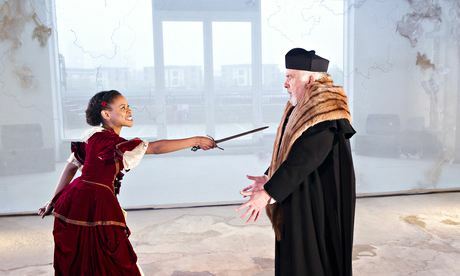 A week ago, respected theatre director Michael Attenborough gave an interview to Dalya Alberge, published in The Guardian, talking about the Belarusian regime and how it threatens free expression, himself having spent a week in the country, working with BFT on a production of King Lear. 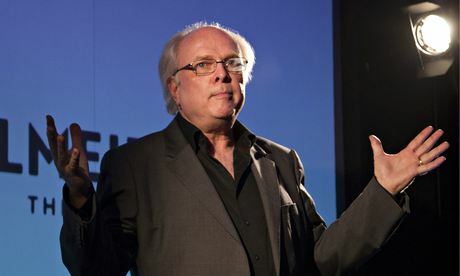 One of Britain’s leading theatre directors has called for David Cameron, the UK’s prime minister, to confront human-rights abuses in Belarus,Europe’s last dictatorship. Michael Attenborough says Cameron can no longer ignore a brutal regime that arrests people for attending a play, has imprisoned a theatre director for 15 hours with no toilet, and has threatened to bulldoze a man’s home for allowing blacklisted actors to perform. Attenborough, who headed the Almeida theatre in London until last year, entered the former Soviet republic as a tourist to spend a week working with the Belarus Free Theatre (BFT), a company banned in its own country. BFT’s underground performances are regularly raided, with actors and audiences intimidated or arrested. Its founder-members – includingNatalia Kaliada, Nicolai Khalezin and Vladimir Shcherban – were forced into exile, coming to Britain as political refugees. With a base at the Young Vic theatre, London, they perform worldwide, liaising via the internet with colleagues still in the Belarusian capital, Minsk, who continue performing in secret locations. BFT, founded in 2005, stages fiercely political productions, often directly critical of a regime that, under President Alexander Lukashenko, is accused of torturing and murdering political opponents. A US critic described it as “one of the most powerful and vividly resourceful underground companies on the planet”. Its stagings include Being Harold Pinter, a biting satire using real-life testimony from Belarusian citizens. Now it must find a new location. The owner of the garage – a “slum” where the actors have been rehearsing and performing – has been warned to cease collaboration with BFT, or his house will be demolished. Attenborough worked with the group on King Lear. “They came to it with such hunger,” he says. On the day of the performance, he sensed their nervousness. The company publicises each show only 24 hours in advance, through social networking. “So there’s a great deal of subterfuge before,” he explains. The police raided just as it was about to start, but then left them alone. Michael is the son of the actor-director Richard Attenborough, whose own parents responded in 1939 to the plight of those facing persecution. They took in two German-Jewish children, adopting them after it was discovered that their parents had been murdered. Attenborough speaks of his shock on hearing that a close friend of BFT’s founders was found hanged in his flat in 2010 “with a fake suicide-note”. Some believe that, as an opposition activist, he was killed. Attenborough could not wait to return home from Minsk. “It’s a really unnerving, uncanny experience – almost as if the whole place has been drained of emotion,” he says. “I thought maybe people were being unfriendly because I was English. I went to restaurants and supermarkets – and they do it to each other. [It’s] a completely joyless place. Her husband, Khalezin, was placed in a cell with no windows, its floor less than a metre square. BFT’s bravery is matched by the quality of its productions, Lan says. “Their work is completely original, powerful and first-rate – political theatre of the kind we used to take for granted but which has somehow died.” At the Young Vic this summer, BFT will be performing a new piece, Red Forest, featuring real-life stories from people living in war zones, in dictatorships and in unjust and unequal societies across the globe. In her interview on HARDtalk Kaliada makes reference to the World Ice Hockey Championships that have just opened in Belarus – the first major international sporting event to take place in the country – and how this would appear to condone the 20 year-long regime of President Alexander Lukashenko and his systematic attack on human rights. In an open letter to the athletes taking part, a group of actors, writers, directors and artists have appealed to them to boycott the event. We are artists writing to athletes, asking you to take a moment to consider the political situation of the country where the Ice Hockey World Championships is taking place. Alexander Lukashenko is known as “Europe’s Last Dictator”. Belarusians have lived for 20 years under Lukashenko’s regime, and have faced torture, kidnapping and murder, intimidation and harassment for speaking out against his inhumane laws and regulations. Lukashenko has created a publicity campaign with the slogan: “Big ice hockey supports Alexander Lukashenko”. We do not believe that. We believe ice hockey players support freedom and human rights. Please do not let yourselves be used by a despot. Join us by showing you do not support the Last Dictator of Europe and that you stand with the people of Belarus by wearing a red and white scarf after the match. These are colors of our national flag that is recognized in Belarus as symbol of resistance. On 21st of December, of 2010 after a bloody crackdown of a peaceful rally when citizens of Belarus went to protest against falsification of elections, seven of us started the campaign with a slogan “Don’t Play with Dictators”. Those people included a unique person the late Vaclav Havel, a playwright and dissident born under a communist dictatorship who went on to be President of a free Czechoslovakia. We ask you to show the Belarusian people that the courage and strength you show in your sport is not blind, and to join them by demonstrating your opposition a regime that violates human rights. This simple act of support would give millions strength in a time of political turmoil, just as the brave actions of athletes at Mexico in 1968 and Sochi in 2014, touched countless of people around the world. We are not in a position of executive power, but we believe by uniting as artists and athletes we can make a difference simply by showing the Belarusian people that we value human rights and freedom and that we stand with them. We have a moral authority and it should not be misused by dictators for their own aims. Belarus has been frozen in time. Its people have no opportunity under its Soviet style dictatorship. The recent invasions of the Ukraine by Russia means that the entire region is in danger of returning to the austere times of the Soviet Union. Artists and athletes have a responsibility to make voices heard on behalf of those who are silenced, not as athletes or as artists, but as fellow human beings. You are people of strong will and action. Usually it’s the fans who show their support for you, now it’s your turn to support them. Put a white-red-white scarf on when you get on the ice. The red represents courage and white represents compassion. The scarf will demonstrate to the fans that you recognize the dictator for who he really is, and show that you stand behind the fans. Wearing the scarf will give them courage and let them know that their voices are heard. Sport should be kept out of politics but when its not, athletes must demonstrate that they know what is going on, that they care, and they stand behind their fans in their quest for human rights and freedom. Don’t play with Dictators, support your fans! The letter was published in The Guardian. Voting comes to a close tomorrow in the world largest democracy. The Indian general election has lasted 6 weeks, beginning on 7th April, with over 814.5 million people eligible to vote. Much has been published about the state of the nation and one article that particularly caught my attention was by Anupama Chandrasekhar and Akash Mohimen for The Guardian. Chandrasekhar and Mohimen are playwrights and in their piece The threats to political theatre in India: fundamentalism and escapism, they explore the integral role theatre has played in India’s freedom struggle in the past and question its purpose today, reflecting on censorship, audience expectations and the new voices seeking to be heard. Elections in India have always been high-decibel, high-emotion events, a period in which art and artists are most vulnerable to attack by fundamentalists. Twenty-five years ago, the street-theatre playwright and director Safdar Hashmi was killed in the middle of a performance during local municipal elections near Delhi. Last month, when the country was in the throes of electioneering, Evam, a Chennai theatre group, was pressurised by the police departments of three cities to cancel their shows of Ali J, a monologue on what it means to be a Muslim today. The increasing number of fundamentalist groups targeting theatre companies across the country has become a cause for concern. A website of a fundamentalist group lists six plays they’ve had censored within the last three years, among other films, TV shows, commercials and books.. India was once far more tolerant of political theatre. While there was the odd case of a play being banned (the ban on Vijay Tendulkar’s Sakharam Binder was later revoked), explicitly political plays were allowed free reign in the 1970s (barring the Emergency years) and early 80s, particularly in my hometown, Chennai. As a child I watched in Tamil insightful political explorations in many guises: satires, spectacular mythologies, powerful social realism and laugh-a-minute drawing-room farces. Social realist Komal Swaminathan, satirist Cho Ramaswamy and mythologist Manohar were household names then. The rise of fundamentalism has been an obvious deterrent to serious political theatre. But a bigger and more insidious threat has been what Brett Bailey would call the “sanitized demands of the market”. There’s a growing tendency to provide safe, escapist entertainment rather than dialogue with the world around us. While the older generation of theatre practitioners like Mahesh Dattani, Sunil Shanbag, Maya Rao, Na Muthuswamy, Gnani Sankaran and Mangai Arasu continue to ask urgent questions about who we are as a nation, many of my generation appear to have fallen prey to the exigencies of the market. Neil Simon and Yasmina Reza are Chennai’s two most popular and frequently staged playwrights of the English language. The pattern is eerily similar in other cities too. In this din of safe comedies and news channel-induced hysteria, there are new voices seeking to be heard: Irawati Karnik, Abhishek Majumdar, Neel Chaudhuri, to name a few. The young Chennai director Aruna Ganesh Ram recently embarked on a pan-Indian verbatim project this election year to explore the concept of freedom. Director Quasar Padamsee’s project So Many Socks, based on Tenzin Tsundue’s collection of poems and stories, explores Tibet, nationhood and the individual. Swar Thounaojam, a Manipuri playwright and activist, wields the English language as a weapon and a tool to explore her subaltern identity. But in a country with a population of over a billion, their voices are far too few. Traditionally, theatre has been an integral thread in the social fabric of India. It was used to spread news, socio-political awareness, propaganda and entertainment. Theatre played a vital role in India’s freedom struggle, bringing messages preached by the leaders to communities hundreds of miles away. It was one of the many sparks that gave rise to one of the world’s largest freedom movements. In the 21st century, Indian theatre seems to have lost some of this spark. Political plays are few and far between. Barring the continuous adaptations of Vijay Tendulkar and Badal Sircar’s texts from the 70s, there are only a handful of political plays doing the rounds. There are plenty of contemporary writers trying to strike a balance between storytelling and shedding light upon important topics that have long been untouched. But audiences always prefer to keep such productions at arm’s length. They jump to conclusions that they are depressing and preachy; the message going around these days is “make them use their brains”. I believe the reason for such a mind-set is lack of awareness. Audiences have little or no idea of what’s happening beyond their own city limits. When they hear about a play on the Kashmir issue, they immediately shun it, rather than become intrigued by the theme and witness a tale of friendship, lost innocence and survivor’s guilt. The influence of the motion picture industry has affected theatre ticket sales. People would rather spend 400 rupees for a multiplex ticket on a Sunday, than 300 rupees for a play at Prithvi theatre. And their reason is mostly the same: escapism. With such a thought process, it is fast becoming difficult to stay afloat by practising theatre alone. No matter how passionate one feels about this medium, one needs to branch out to films, commercials, event management and education to have some sort of financial support. There are few who can truly say that they earn their livelihood out of theatre. Despite corporate funding over the last few years, most productions barely break even. In fact, some lose money each time the actors step on stage. But they keep coming back year after year, because of the sheer love for the stage. Theatre in rural India remains the truest form of Indian theatre. There are parts of the country where, every festive season, a performance will be organised free of charge. A performance could be put together by a teacher, farmer, policeman and postman, where the whole village will participate. Irrespective of subject matter or story, they will lend their ears. The laughter and tears of the audience are a major adrenaline rush for the actors and musicians on stage. Everyone involved is as moved as the audience watching. Having written last week about immersive theatre, I am going to continue today with a connected theme. Immersive theatre, as well as the experience, is largely what it is because the visual elements it contains, be they the building or place itself or what is placed there. In other words, it’s design. Now it strikes me that the term theatre design is a little redundant when describing the immersive space and indeed this seems to be bringing about a change in how we perceive either the role of a theatre designer or theatre design itself. Increasingly, theatre design is becoming scenography; the theatre designer, the scenographer. I had been aware of term, although never entirely sure of its exact meaning, but as is often the case, it seems to have been popping up with more frequency in things I have been reading and conversations I have had. A colleague used it this week to describe one of his areas of specialism. So with my interest piqued, I got digging and have been quite fascinated by what I have found. Nothing particularly new there, one might think on first reading. However, it is the bringing together of all of these elements together that is different. Traditionally in theatre we separate out the design roles – stage, costume, light, sound and so on. Throw into this mix the varying role a director can play in the design process and maybe even the dramaturg, and we get quite a complicated web of people and roles making contributions to what we eventually end up looking at and experiencing on stage. Scenography is becoming quite common in Europe and indeed, theatre designers are designating themselves as scenographers. However, it would seem that in the US the term has not been adopted with the same passion. On her website Stephanie A. Schoelzel, herself a scenographer, describes heated debates over the use of the term and the unique differences between US and European theatre in this regard. It is an interesting read on a number of fronts. Another description of Sceneography and its origins is from Imagined Spaces, the Canadian National Arts Centre in Ottawa is also informative. It was at this point in my research that I began to feel a little ignorant. Svoboda is clearly a giant amongst designers and scenographers, but I had never heard of him. When he died 2002, it was estimated that he had designed and/or directed over 700 theatrical and operatic performances. When I sit alone in a theatre and gaze into the dark space of its empty stage, I’m frequently seized by fear that this time I won’t manage to penetrate it, and I always hope that this fear will never desert me. Without an unending search for the key to the secret of creativity, there is no creation. It’s necessary always to begin again. And that is beautiful. You can get an idea of the scale of Svoboda’s work in the following two videos. If you speak Czech or French there are more in-depth videos on Youtube about the man and his work. It then struck me to whom I had heard the term scenographer ascribed before. Robert Lepage is one of the greatest living magicians of the performance space and I have had the delight, pleasure and awe of seeing a number of his works. An utter genius and worthy of a post all of his own, so I shall save further discussion of him until then. However equating Lepage and his work with the role of scenographer, I understood the difference between design and scenography. It also allayed my feelings of ignorance somewhat. For many years scenography has been the preserve of the academics – a theory of, roughly speaking, the meeting of art, design, architecture and space, and how they interact with the spectator and the spectator with them. Starting to feeI immersive here? I can now also see how two of the most influential theatre designers of the 20th Century, Adolphe Appia and Edward Gordon Craig, influenced the development of scenography. 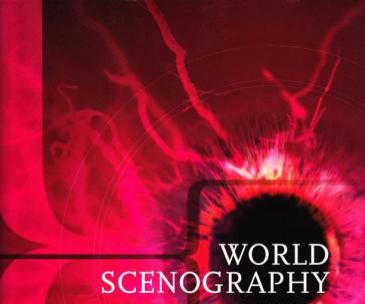 There are lots of resources out there for understanding scenography and putting it into practice, but one of the best I have come across is TAJ, Theatre Arts Journal. 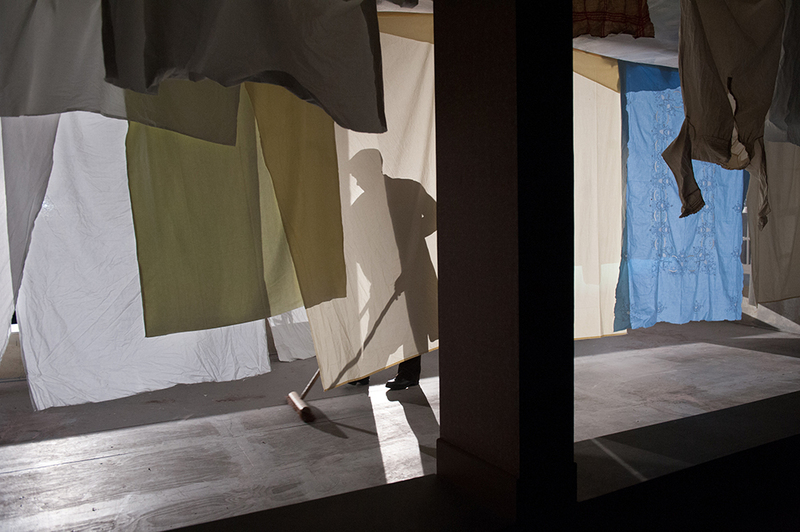 TAJ is an online journal devoted to the study of scenography in performing arts. Also, the Prague Quadrennial site is a veritable treasure trove of scenographic wonders. There is even a board on Pinterest devoted to scenography, curated by architect Marios Angelopoulos. To close, I should point out that scenography is not simply an act of theatre making. It is much wider than that, stretching to cover exhibition design, museum planning and interactive public spaces amongst other things – all things that need to engage an audience. As théâtre du jour, the popularity of immersive performance keeps on growing. I have written here many times about its attractions and why it possibly draws the audiences that it does. Today I want to share a mixture of things that have come my way in the last week or so, all of which making interesting reading and listening. 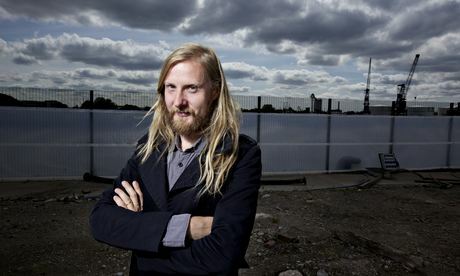 The second share today is also from The Guardian and written by Veronica Horwell, Casting Call For Buildings explores how site-specific theatre companies go about picking the right venues for their shows? Horwell looks at two current performances – again Punchdrunk’s Drowned Man and The Spectators Guild’s new show, Venice Preserve’d. It’s easy to see why Paynes Wharf, near Deptford Creek in south London, is playing the lead in the Spectators’ Guild company’s production of Venice Preserv’d. It has an old Thameside maritime facade – a former boilermaking works – arcaded like the Doge’s Palace, next to a new flatblock in the manner of a campanile, and its developers put serious money into the production. And they offered guaranteed availability with a scheduled window in the site’s post-construction schedule. For, as the guild’s producer Harry Ross and production designer Helen Scarlett O’Neill know from their work with Secret Cinema, the company that stages elaborate movie events, any big, workable, public space in London is hard to find. Should they dream of a place with character, let alone the right looks, they’re into the near-impossible. There is noSpotlight for immersive venues, no showreels for talented but unknown ex-warehouses. The agents do not ring. Mostly, Ross and friends keep their eyes open and ceaselessly ask around. Ross, who as a cyclist has travelled at just the right speed to observe the built landscape, collects London buildings, holding in his head half the current suitable specimens, tunnels included. He can charm any watchman into letting him past the gates within five minutes, and will wander around the metropolis yelling queries up to blokes on scaffolding, if that’s what it takes. Once spotted, though, a space can be even harder to secure. It can be done, especially if it’s a pro tart of a place for hire anyway, as with the former Farmiloe stained-glass manufactory in Smithfield, much used as a movie location before being taken over for the duration of Secret Cinema’s The Grand Budapest Hotel-related live extravaganza in March. But the turnover of acquisition, renovation, demolition, repurposing and new construction in London has accelerated so fast since property became the international investment after the 2008 crash, that places the site-specific event companies have stashed away as promising hopes suddenly sprout into multi-storey plutoflats. That’s what makes Venice Preserv’d as an on-site production a novel venture for everybody – and is maybe the way that immersive theatre will have to go. The developers wanted the company and its production to show off the artistic potential of this great space behind the restored river facade. They’re looking to theatre to put some character into the wharf so that it won’t lapse into just another stretch of the executive luxury-flat cliffs now walling the Thames. Director Charlotte Westenra has wanted to put on Thomas Otway’s Restoration tragedy for a long time – it being an entirely modern story about selling out, in every sense, in a privileged imperial city awash with money and betrayal, yet sinking fast. Then came this loan of what she feels is “a beautiful, significant space” that, both visually and contextually, correlated with her concept of the play. I’d describe the production as location-referential more than site-specific. While Westenra exploits onsite advantages with glee – she will flood the central courtyard to simulate a bridged Venetian canalscape – she also looks out to a wider geographic “where” as a context for the old narrative. The audience can choose to come down to Greenwich pier by boat, as if on their way to a Venetian carnival, and, as they promenade the wharf’s tideside terrace or look through the space’s mighty windows, they cannot fail to see the uncaring, rising water and moneyed Canary Wharf on its far side. The site’s most overwhelming area is a lofty nave the length of the gutted old building, which O’Neill will dress with decaying lace. Although Westenra’s approach to Otway’s bitter power play will remain a semi-formal staging, in which everybody will view and hear the same scene at the same time, it won’t be a Punchdrunk company gig with each audience member stomping his or her own route with a request to “wear appropriate shoes” on the ticket. If the walls could speak at Payne’s Wharf they’d be talking about investment, dividends, futures. Most of them – other than that 1860s frontage – have no past to speak of. Get Felix Barrett, head of Punchdrunk, immersive veterans, on the subject of listening to walls, and it’s a whole different story – mostly about the past. He has known since his first student production in 2000, in a Territorial Army HQ in Exeter, all the highs and woes of the quest for unlikely performing spaces. He knows Deptford, too – he put on two shows in the old Seagar distillery, now a mighty block of “lifestyle living” just a drinker’s spit from Payne’s Wharf. Westenra wanted to do her cherished show and was grateful for a supportive, expansive space as setting: Barrett doesn’t cherish anything so finished as a script, just a dozen two-word ideas, as many again in one sentence, and a well-developed few that run as far as a single paragraph. None go further until he can hunt and hold his site. It’s getting more difficult in London. Rare are the developers, he says, “who realise that dormant space could be a positive creative force”. Or that Punchdrunk could give a death-sentenced building a last hurrah (Faust in a former archive in Wapping Lane, The Duchess of Malfi in a doomed pharma HQ in Docklands), rather than a squalid slide into graffiti before the cranes move in. Now there is also competition from proliferating event companies and movie shoots. The economics have changed. The old Paddington mail sorting office, elaborated internally into “Temple Studios” as home to Punchdrunk’s most recent production, The Drowned Man: A Hollywood Fable, took three years to run to ground and secure, and was the first site where the company has had to pay properly for use. How did Punchdrunk find it? Like its predecessors, by a combination of time, luck and legwork. Barrett used to draw a circle on a map, calibrated to the distance an audience might travel, then divide it into blocks. A-Z in hand, his team walked every alleyway, always looking up (“the hidden gems are above your eyeline”). The building should ideally be reticent, reclusive and exude a sense of danger: “The day we found the building for Faust, after nine brutal and bruising months, we could feel the electricity run through the fence. There was a big sign, DANGER: DO NOT ENTER … We went in.” (Punchdrunk never took the sign down, despite the misgivings of its National Theatre backers.) When Punchdrunk was invited into the safe, alive space of the Battersea Arts Centre, a former town hall, the first task was “to kill it off, a stake through the heart” before the right show, which turned out to be The Mask of the Red Death, could crawl out of its demunicipalised woodwork. After Punchdrunk field trips, the team usually worked the phones for weeks, and got nowhere. For every hundred spaces that might fit the bill, only one was available for work – until, so often, it was out of the game. Three times Barrett came close to securing a hospital. (He would have liked to put on Faust in hospital wards, grief and loss flowing along every corridor – corridors are all plot.) Every time, in the end, pffft. Eventually, he learned that, “You can’t dream about the perfect space for the ideal show because a show may be almost go after three years” – then comes the NO – “and when you secure another building, it has to be a very different show”. Right now he has seven possibles waiting for a green light, and 50 that could happen, but their stories will have to be scored to what he hears on that first interior walk, “the beats and rhythms of the space, crescendos, diminuendos, staccato”. 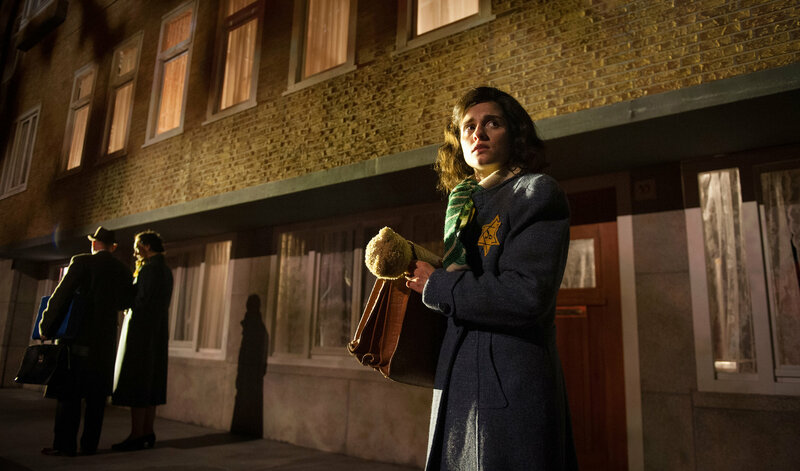 Punchdrunk is about being site-sympathetic, rather than site-specific, though. In New York, its backers wanted Faust, but Faust was outside the available venue’s range: it performed Sleep No More – Macbeth – brilliantly. Barrettt’s own role is always Prospero. He says he is in the sandcastle business. Almost everywhere Punchdrunk has ever commandeered, all those not-so-gorgeous palaces, has since been replaced with cloud-capped tower blocks. So for the first time, the company now keeps proper records of its plays, including the buildings’ own stories, against the inevitable time they, too, vanish into thin air, shortly after the play closes. My third and final share comes from one of my students, Mia, who as just written a comparison of the working practices of a number of immersive companies including, Punchdrunk, You Me Bum Bum Train and dreamthinkspeak. As part of her research she contacted the companies and got this great little Interview with Tristan Sharps, Artistic Director of dreamthinkspeak.